Yeah – damn right. Whatever you may have been expecting on the cover of #108 of The Walking Dead, it probably was not this. Can The Walking Dead get even better in 2013 compared to 2012? If this cover is an indication, then it’s a resounding yes from this reader. 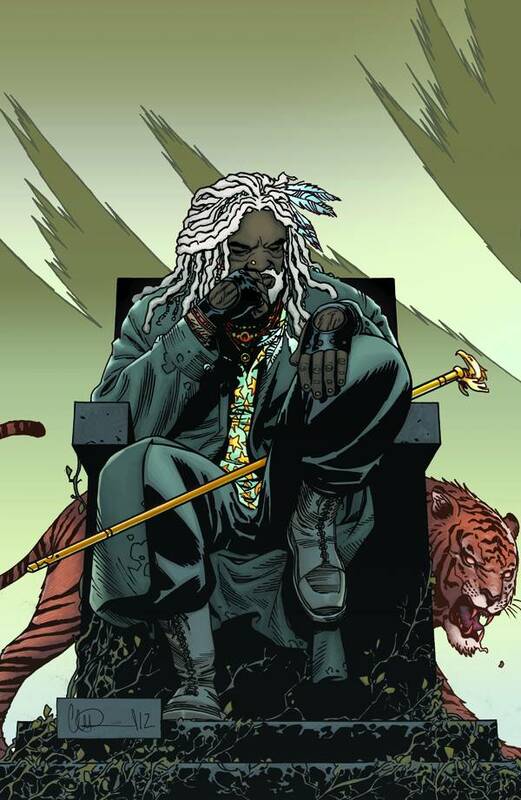 So whoever Ezekiel is in this post-apocalyptic world, he gets introduced into Kirkman’s world in March, and expands the horizons of this comic a little more. It is indeed a Larger World out there, and Kirkman is really opening up. Congratulations to Charlie Adlard as well – it’s a fine cover; in fact it reminds me a bit of something Brendan McCarthy would do, and I mean that as a compliment.